The color and vibrancy is enough to make you want to salsa dance in Cartagena, Colombia. Perhaps even down the picturesque streets. Cartagena may be one of the more touristy cities in Colombia, but there’s a reason why visitors flock from all over the world to spend time in this coastal city. The city has an energy like no other. The air is flush with romance and beautiful historical buildings are perched near the sea. Since Cartagena is a popular touristic spot, you’ll find many things to do. So why should you salsa dance in Cartagena while other activities may be vying for your time? Keep reading! By the end of this post, you’ll be wanting to pack your dancing shoes along with your swimsuit before heading to Cartagena, Colombia. The beaches around Cartagena are very pretty. (The beaches in Cartagena leave can dissapoint you a bit.) But once you’re done with your day at the beach, you might be wondering what to do during the night time. Dancing salsa of course! Saving salsa for the evenings means you can do your sightseeing, swimming or tanning while the sun is out, then get to stepping and spinning once it gets a little cooler in the evening. Plus, with so many bars and nightclubs in Cartagena’s historic area (where you’ll most likely be staying) you’ll be sure to find the perfect place to cut a rug. If you’re looking for an activity that’s quintessentially Colombian, you won’t have to look much further than salsa. Learning to salsa dance in Cartagena means taking part in a tradition many Colombians hold dear to their hearts. 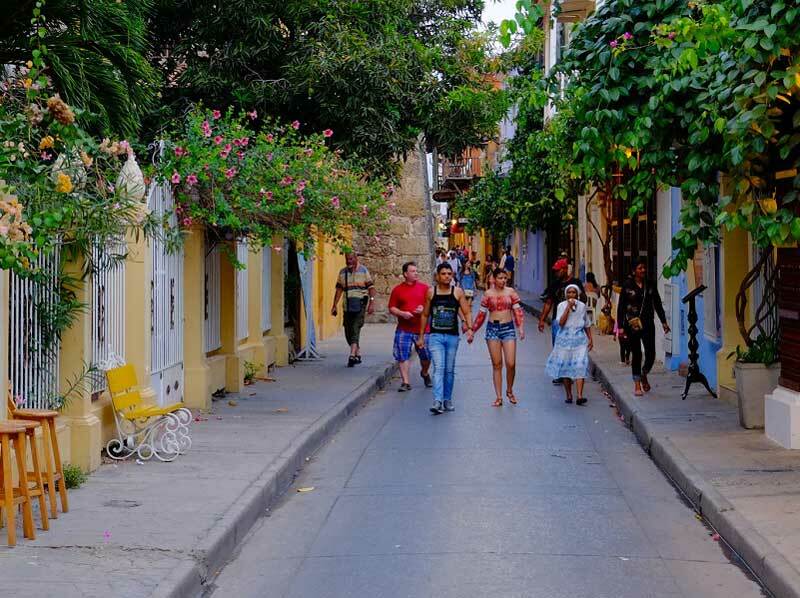 So maybe you won’t have memories of learning to dance salsa in the kitchen with your cousins or siblings when you were little like many Colombians, but you will have the memories if you decide to learn in Cartagena. So many times when traveling, we seem to meet fellow tourists rather than actual locals. It’s hard to make connections if you’re always on the move or don’t speak the language, but inviting a local to salsa dance in Cartagena is a great way to break the ice. You will show you’re interested in a typical Colombian activity! You don’t need to be fluent in Spanish to bust a few moves. So let your feet do the talking and make new friends on the dance floor. Trying to schedule various things to do in Cartagena can get frustrating, especially if you have a tight schedule. The beauty of learning to salsa dance in Cartagena is you can schedule a time and date for salsa lessons any time you want. Salsa Classes Medellin has instructors ready to show you the moves in Medellin of course, but also in Cartagena and Bogota. They have teachers who come to you. You don’t have to spend your limited time in Cartagena traveling to a dance studio. With all its friendly people, tropical vibes and gorgeous architecture, you’ll be sure to fall in love with Cartagena. Learning to salsa dance while you’re there will only make the experience richer.